As you may have seen, the Chase Ink cards have increased their sign-up offers today for a limited time. Both of these cards have one of my very favorite bonus payouts for routine purchases at 5x points per dollar at office supply stores, on cellular phone charges, landline, internet and cable TV services (annual $25,000 5x max on the Cash version of the card, annual $50,000 5x max on the Plus version of the card). In my view, the main difference between the two cards (other than the sign-up bonus) is that the Ink Cash has no annual fee whereas the Ink Plus has a $95 annual fee. Additionally, the points earned from the Ink Cash are transferable to Ultimate Rewards hotel and airline partners only if you also have the Ink Plus or the Chase Sapphire Preferred® Card. If you do have one of those cards you can choose to use the $300 bonus cash back Ink Cash sign-up bonus as 30,000 points that you transfer to United, Hyatt, or your Ultimate Rewards partner of choice. The most common sign-up bonus for the Ink Cash is 20,000 points while the most common sign-up bonus for the Ink Plus is 50,000 points, so this is a great time to pull the trigger on either if you want to get as many points for your sign-up bonus as possible. Do keep in mind these are small business cards and that reports coming from those who have recently applied for Chase cards are that things are a bit tighter than they used to be. That said, good luck if you choose to go for one of these cards – I know we love them both for their 5x bonus categories as well as of course for the increased sign-up bonuses! The most satisfying part of writing a travel blog and the hobby of earning Travel Rewards is helping friends and family travel the world creating memories without breaking pocket. 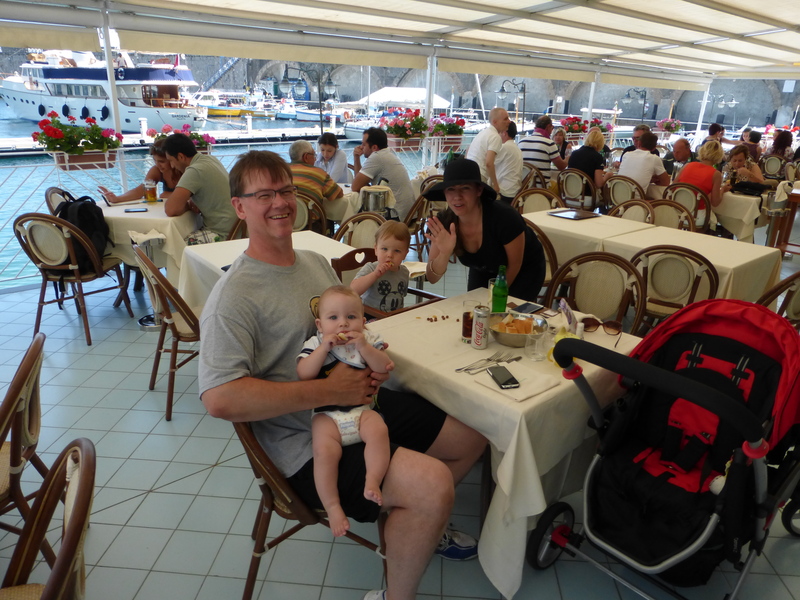 One of our best friends Steve and Joi along with their two boys (Bradley < 2 yrs and Lucas < 1 yrs) returned after spending two weeks in Italy. 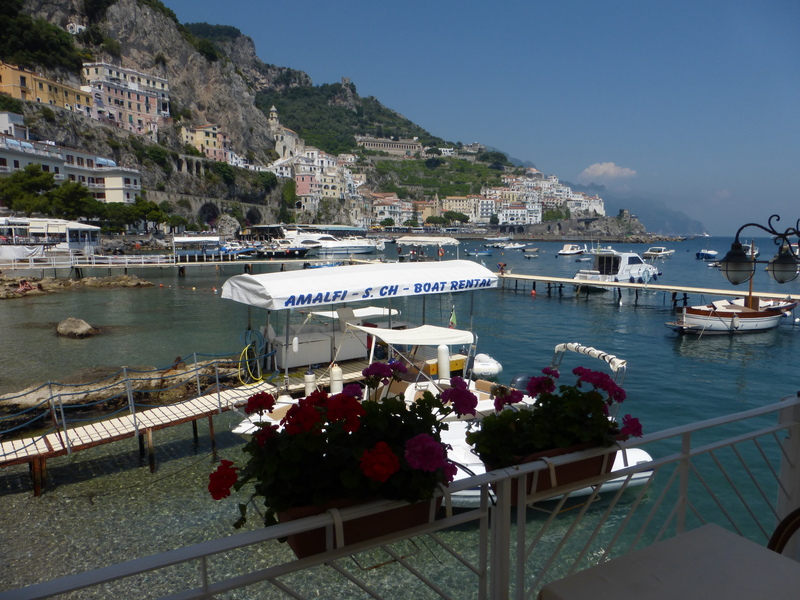 They visited Rome and Sorrento (Amalfi coast). Steve and Joi are well traveled around the world but recently got on board with the travel rewards program earning miles and points utilizing credit card sign-up bonuses and implementing other strategies that I now offer via my Travel Coaching program. 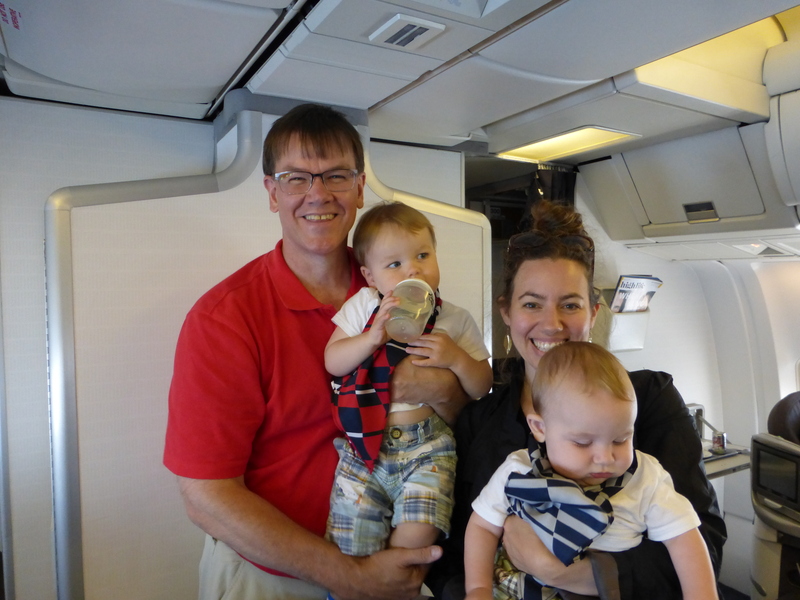 They flew Business Class on British Airways from Washington DC to Rome. Steve used 100,000 Avios and the Free companion ticket he earned by signing up for the Chase British Airways Avios Card to book these seats. British airways does charge almost $1000 fuel surcharge on award tickets which is a potential drawback. The executive lounge at Waldorf Astoria – Complimentary Breakfast, Booze and hors d’oeuvres is what they enjoyed every day!! They utilized combination of the two nights earned from the Citi Hilton cards along with cash and points to stay 4 nights at this magnificent Waldorf Astoria Rome Cavalieri (probably one of the best hotel in Rome) costing less them $300 out-of-pocket for the entire stay including access to the spa and executive lounge serving awesome gelato, wine and snacks round-the-clock. A one-night stay at this hotel can easily cost $500 a night with all the upgrades they had so its a saving of more than $1700 for a four night stay!!! And guess who was sharing the pool with them at the Hotel – Penelope Cruz and Javier Bardem. Steve was able to keep the cost of their stay at Waldorf Astoria this low by using combination of sign-up bonus from the two Barclay Arrival cards, two nights free from the Citi Hilton Reserve card and few trips to Simon Mall for manufacture spending Barclay Arrival miles. 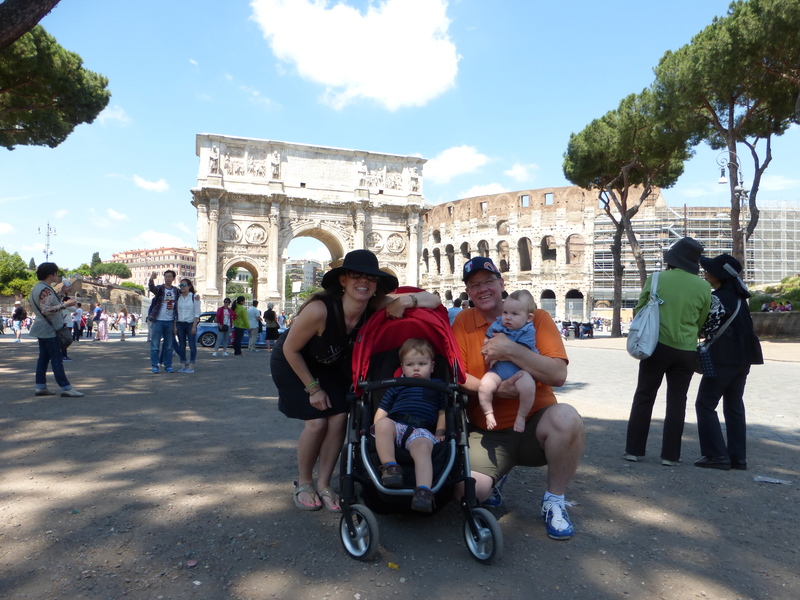 They used Ultimate Rewards (UR) points for the Hop-on Hop-off tour in Rome. You can use UR points to book airline, hotels, car rental and trust me even Hot air balloon ride!!! 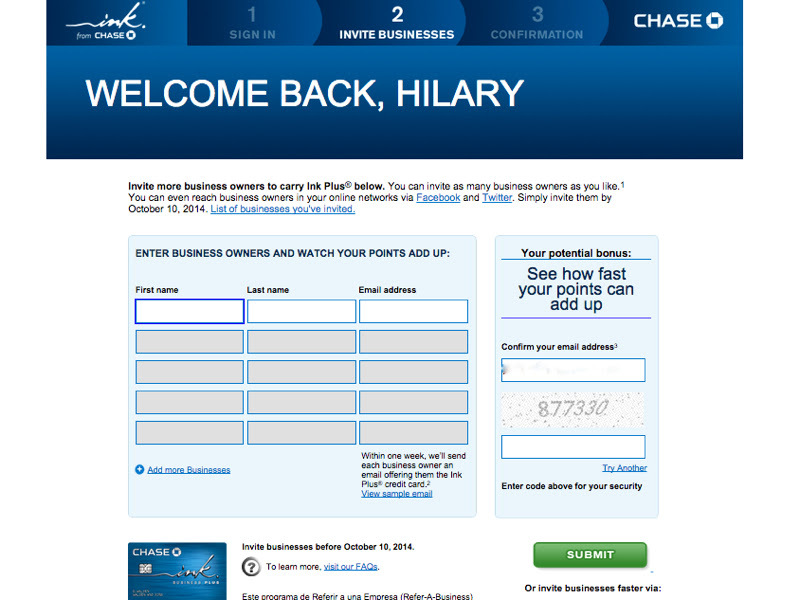 You earn UR points by signing up for Chase INK business card, Sapphire Preferred and Freedom card. I love UR points as they can be transferred to several airline and hotel partners and if you have the Chase INK card you can ramp up your UR account balance very quickly as the card offers 5X points at office stores and also telecommunication bills (phone, internet, cable etc) and 2X on gas. I love my Chase INK card and I have paid the annual fees of $95 on this card for the last two years (of-course after earning a retention bonus of 10,000 UR points when annual fees is due). 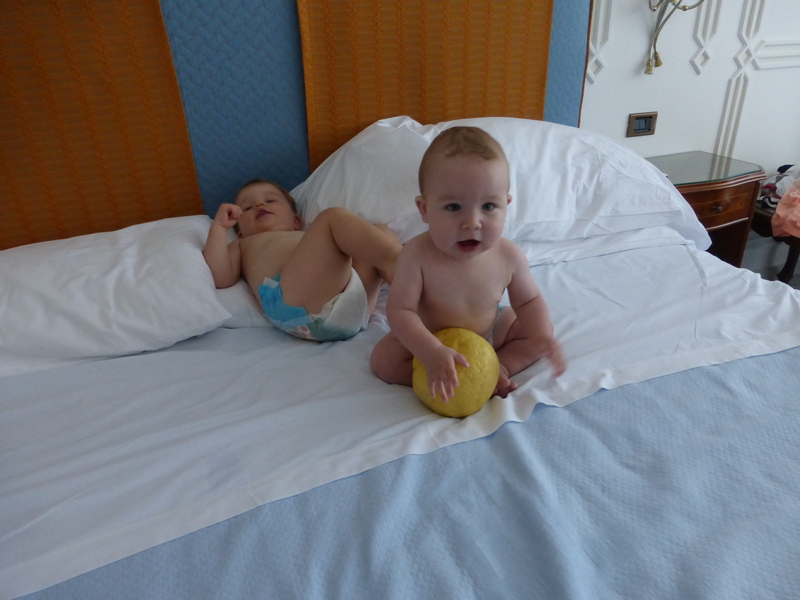 They stayed at the Hotel Capodimonte in Sorrento. This hotel is not part of any major hotel chains such as Hyatt, Hilton etc so they charged entire stay on to the Barclay Arrival Card. Steve has up to 120 days to redeem this charge (~$2000) and he has been able to secure red card/serve from family members that will help him to rack up serious manufactured spending and after redeeming the miles this stay will cost him only $800!!! PS – Lucas is holding a lemon and not a Watermelon!! 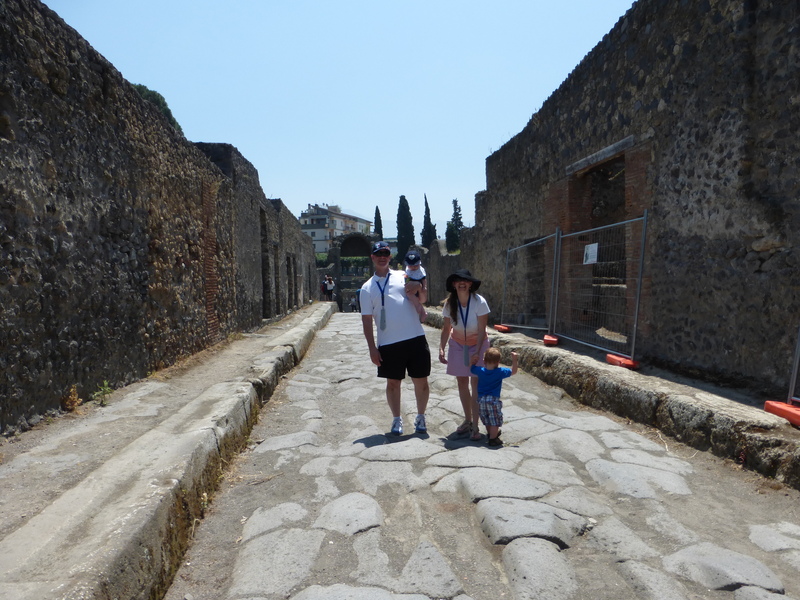 They were not ready to come back after spending quality time in Italy. The above picture of Bradley and Lucas sums up the whole trip. 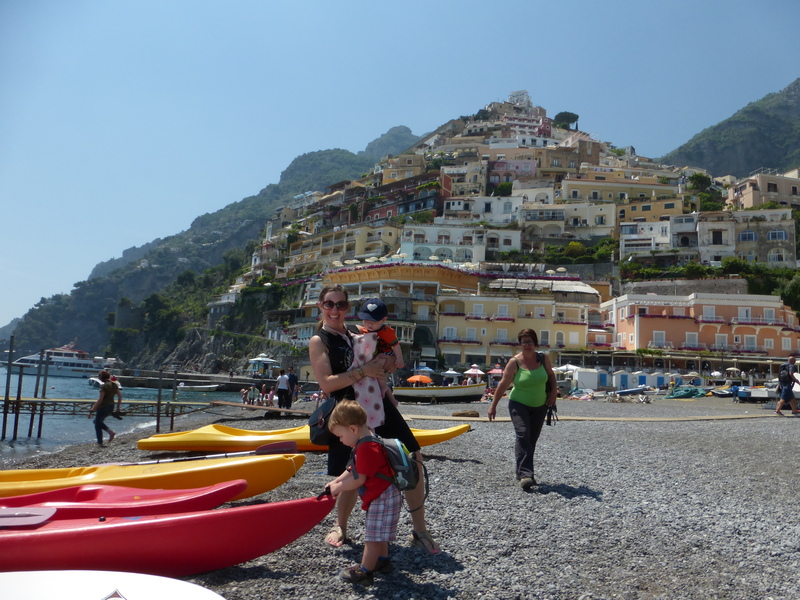 Steve and his family had an amazing vacation in Italy. This vacation could have easily costed $20,000 ++ (including business class in BA, Waldorf Astoria Hotel stays, car rental, etc etc) but by smartly using bonuses from credit card sign-ups and maximizing mileage redemption this vacation will roughly cost them $3000 (or less). As part of my Travel Rewards service I can help you and your family to get to you next dream destination for pennies. Send me a note to get started with the Travel Rewards program where we will communicate over phone/skype for a few minutes to better understand your needs and then customize a game plan. Let’s make your dreams come true!!! I always feel my hotel stay is incomplete without having a nice scrumptious breakfast. Since We’ve been staying at some top hotels around the world (while paying pennies).If you read this site you probably already know that top tier hotel elite status can get you things like upgrades, free breakfast, late-check out, and more. However, unless you travel quite a bit per year, or are able to put large amounts of spending on some co-branded hotel credit cards, the upper tier hotel elite status levels that get you those really good perks are probably out of reach for most of us. However, you can still get free breakfast, upgrades, late check-out, and other VIP goodies just by booking a stay at a participating “Luxury Hotel Collection” hotel via a program that Visa Signature offers. Before you close the page thinking “free stuff” this will cost extra, or that families have no business in “luxury” hotels, hear me out because you might be surprised. How Do You Access the Visa Signature Luxury Hotel Collection? All you have to do to access The Visa Signature Luxury Hotel Collection is have a Visa Signature credit card. There are tons of them, and if you have some rewards credit cards, the chances are good that you already have one in your wallet. Some of the most popular cards on the market are part of this family of premium cards, including the Chase Sapphire Preferred, Chase Sapphire, British Airways Visa, the Hyatt card, the Marriott Rewards Premier and Marriott Rewards cards, the Southwest Plus card, Bank of America’s Alaska Airlines and Hawaiian Airlines cards, Capital One Venture Rewards Credit Card, Citi Hilton HHonors and Citi Hilton HHonors Reserve, US Bank FlexPerks, Citi AAdvantage Visa Signature, and many more. 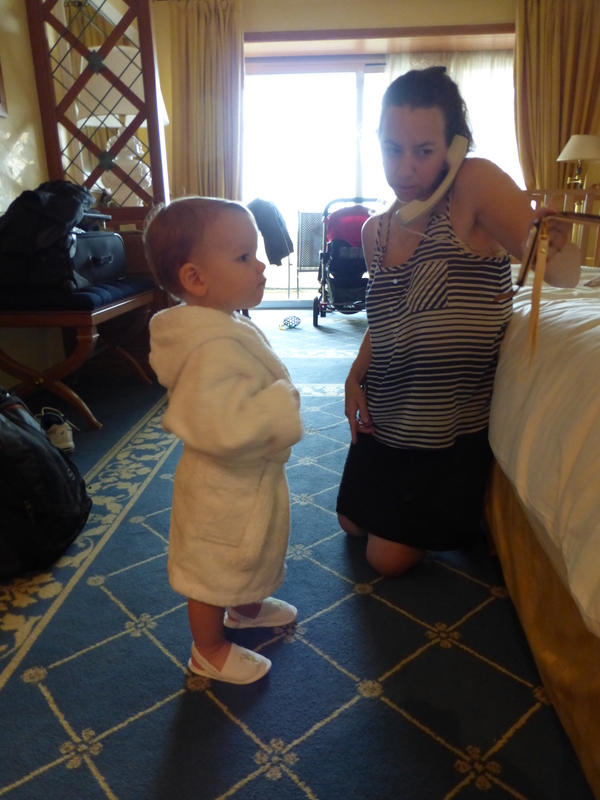 What Family Friendly/Points Friendly Hotels are in the Visa Signature Luxury Hotel Collection? Park Hyatt Washington DC, Park Hyatt Beaver Creek, Hyatt Key West, Hyatt Olive 8, Hyatt Regency Hill Country Resort and Spa, Hyatt Regency Aruba, Hyatt Regency Maui, Hyatt Regency Grand Cypress, Hyatt Regency Chesapeake Bay, Hyatt Regency Indian Wells, Grand Hyatt Kauai, Andaz 5th Avenue, Andaz Papagayo, Andaz Maui, Andaz Amsterdam, Andaz Napa, Intercontinental Bali, Westin St. John, Westin Dublin, Westin Maui, St. Regis Monarch Beach, St. Regis Houston, St. Regis Princeville, St. Regis Rome, St. Regis Bahia Beach, St. Regis Punta Mita, Liberty Hotel Boston, Aria, Vdara, W South Beach, W Atlanta Downtown, W Vieques Island, and tons more. You can search by price, location, brand, interest, setting, etc. How expensive are hotels in the Luxury Hotel Collection? The rates for hotels in the Luxury Hotel Collection should be the same as the lowest rate you can find via the hotel directly or other similar sites, albeit without the use of discount codes or other reduced rates due to AAA, AARP, etc. In fact, they have a “Best Rate Guarantee” in case you do find a lower rate elsewhere within 24 hours of booking. Some of the hotels in the collection are very expensive for my tastes, but others are much more reasonable per night. Of course these are not going to be your super cheap budget motel properties, but there are many that have reasonable prices, with some in the $100 – $200 per night range. I’ve seen the Westin Lake Las Vegas go for around $100 per night or less. A random search of dates at the Hyatt Regency Maui turned up nights starting at $259/night. 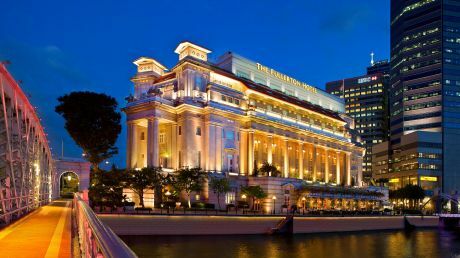 That isn’t cheap, but when you consider that it would cost 20,000 Hyatt points per night to stay there, you may decide the cash rate makes sense for some nights – especially given the perks you will get via the Visa Signature Luxury Hotel Collection program. What perks do you get from booking with the Visa Signature Luxury Hotel Collection program? How the hotels deliver on the continental breakfast for two daily will vary, but in my experience if you don’t want an actual continental breakfast, many will offer that monetary equivalent toward another breakfast item. 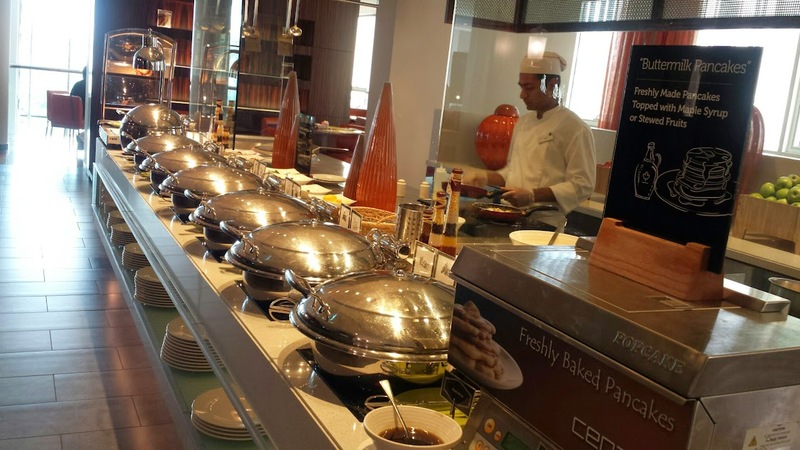 Since hotel breakfasts usually aren’t cheap, this can easily be a $50+ value per day of your stay for two people. If you aren’t familiar with the program, or haven’t used it in a while, I highly recommend you poke around on The Visa Signature Luxury Hotel Collection website to see if some of the hotels and benefits offered might work for one of your upcoming vacations. Remember that you will still earn your points/elite status credits when you book via the Visa Signature Luxury Hotel Collection, so those of us that love hotel points can essentially double up and earning points and getting extra perks! Have you utilized the Visa Signature perks on a hotel stay? Where did you go, and how was the stay? 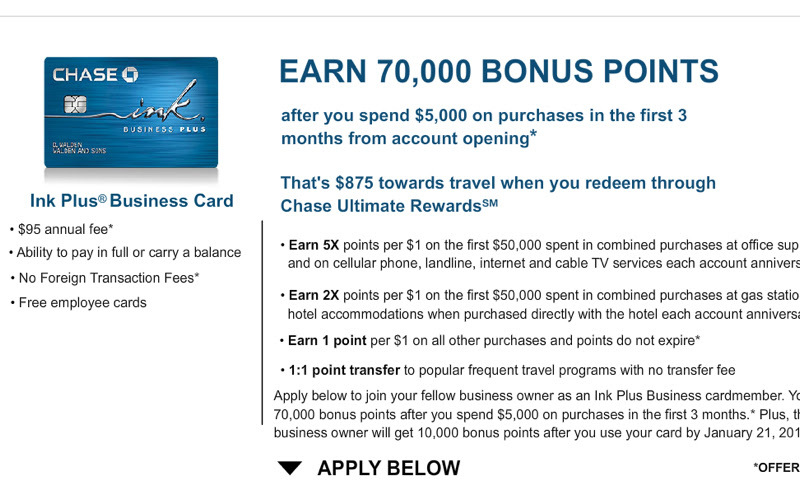 The 70K Ink Plus Bonus Offer is not new, it’s been available at Chase bank branches for awhile. But now there’s an Ink Plus Refer a Friend targeted offer for some Ink Plus cardholders, that may enable you to refer friends to the 70K Ink Plus offer and earn up to 50K Ultimate Rewards points for successfully referring 5 friends. Enter your last name, zip code and last 4 digits of your Ink Plus card number to see if you’re eligible to refer friends. If you’re eligible, you’ll see a screen such as the one below, where you can enter the first name, last name and email address of your friends to send them an emailed invite. I recommend instead that you click on the Facebook/Twitter link to get your own personal referral link and send that to your friends, so that they don’t have to wait and can apply right away. When Must I Invite Friends Who Are Business Owners By? When Must My Invitees Apply By? Those you invite have until October 20, 2014 to apply, and if they are approved, must use the card byJanuary 21, 2015 in order for you to receive referral credit. Are My Invitees Eligible for the 70K Ink Plus Bonus? The terms of the offer state: “This new cardmember bonus offer is not available to either (i) current cardmembers of this business credit card, or (ii) previous cardmembers of this business credit card who received a new cardmember bonus for this business credit card within the last 24 months.” Hence, I would recommend that you not encourage colleagues to apply if they already have the Ink Plus card, even if it’s for another business. Instead, you might want to encourage them to apply for the 50K Ink Bold Visa, especially if they have never had the Ink Bold or previously had the Ink Bold MasterCard, since Chase considers the Visa and MasterCard variants different products (Chase has since switched all its cards to Visa). What’s the Maximum Number of Ultimate Rewards Points I Can Receive By Referring Others? You can receive 10,000 Ultimate Rewards points per approved applicant up to 50,000 Ultimate Rewards points per calendar year. Note that the 50,000 limit applies across all Chase refer a friend opportunities, not just the Ink Plus. When Will the Bonus Ultimate Rewards Points Post to My Account? Allow 6-8 weeks after the first purchase of a successful applicant that you referred. Is There a 70K Ink Plus Offer with $95 Annual Fee Waived? I Want My Invitees to Get the Best Offer. No, to my knowledge there are no 70K Ink Plus bonus offers with the $95 annual fee waived. Assuming your invitees know how to use Ultimate Rewards points well, the extra 20,000 points are well worth the annual fee. What Are the Best Ways to Use Ultimate Rewards Points? Ever since the United Award Chart Devaluation and with Singapore KrisFlyer Now a Chase Ultimate Rewards Transfer Partner my favorite use of Ultimate Rewards points has been transferring them to KrisFlyer, to be able to redeem for Singapore Suites on the A380 or Singapore New First Class. Another good use if flying to North Asia is to transfer to Korean Air Skypass. Also see Book Korean Air Skypass Awards Online.